This sad sight is the lower portion of the north porch. Pretty pitiful, right? I agree, but I am also thrilled that these pitiful bits remain, for they are invaluable templates. The pitiful original lattice offered itself up as something which could be carefully measured for re-creation. And, behold, such a miracle ensued, and in treated lumber no less. Whoee! This image reveals the all-important thick scale of the new lattice. I could not be happier. Well, I could, actually, be happier if the lattice was already installed. And painted. 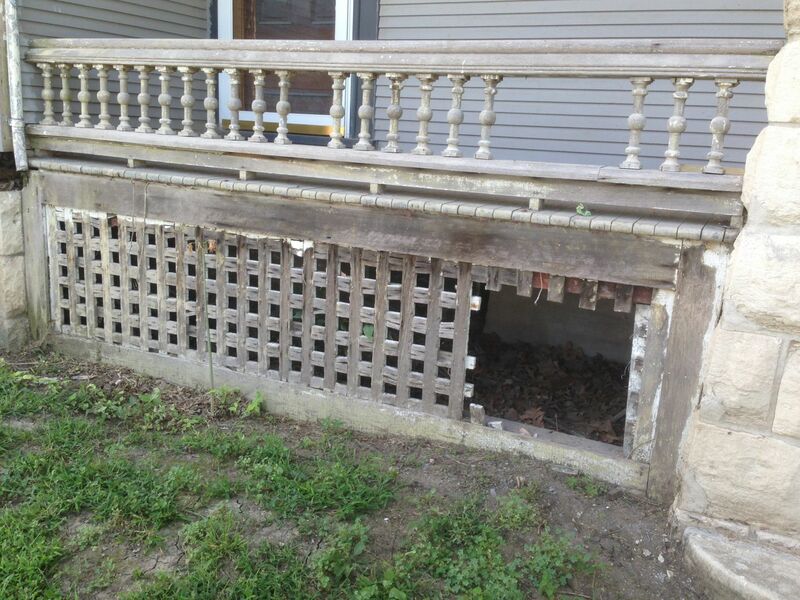 NOTE: After giving fine service for 120 years, the original lattice will be carefully stored in the basement. Thanks Doug for the fine work! Good job! just curious how the blocks were joined, were they just glued? Also, what are you doing to protect the ground moisture from wicking up the bottom rail? 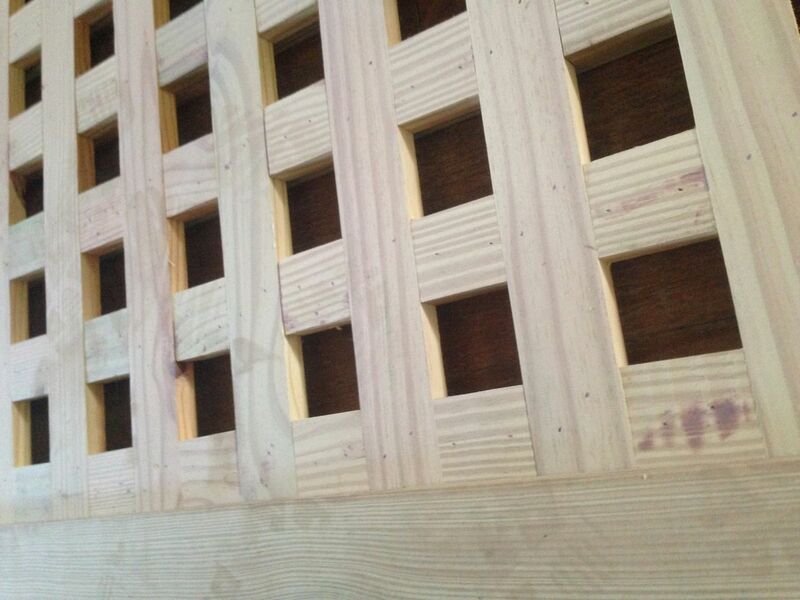 The blocks are glued, and nailed to a backing length of lumber. The bottom rail will not touch the ground (we will be lowering the ground level). Also, the whole is made of treated lumber, so it will not rot. Ross, how long before you can pressure treated wood. I believe its a year.